Investing is an important element when it comes to be financially free, or at least secure. Right? But what kind of investing is right for you? Today, David Barnett shares one I’ve never heard of. And no, it’s not Bitcoin. 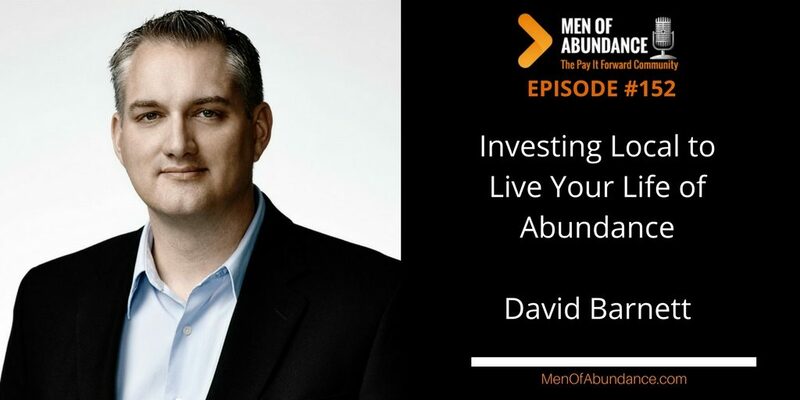 Today, David shares an idea, a great idea called invest local. And you have to hear his action steps. David Barnett has been working with small businesses for over 20 years. He is a former finance and business broker and works with entrepreneurs around the world to help them buy, sell, finance and plan their businesses. David has written 6 books which are available on Amazon and 3 of them have become best sellers; Invest Local, Franchise Warnings and How To Sell My Own Business. David just recently released his business systematizing program called Build a Business that People Will Want to Buy and a new special report on borrowing from business brokers when you buy a business. Over the last month or so, I must get 2-3 people inviting me to invest in Forex, Bitcoin, real estate holdings etc. And while I know those investments work well for some, ok for others and not so much for even more. None of them interest me in the least. But what does interest me is investing in myself and in other people. That’s why I like what David Barnett has to say about invest local. That’s something I can get into.